On Saturday, April 3rd, the legendary Paul McCartney performed for thousands of South Floridians at the Miami Sun Life Stadium. It was a full house as spectators watched him play classic hits from The Beatles along with songs he has composed throughout his career. 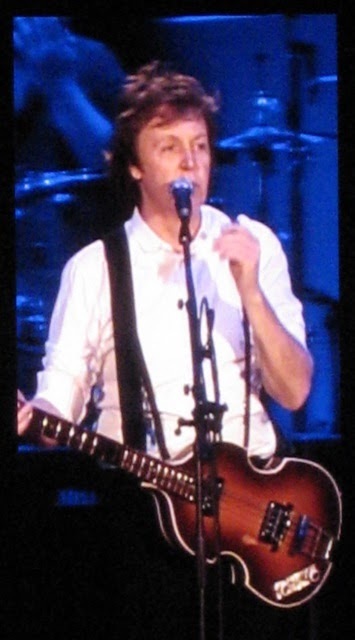 I loved this concert because McCartney greeted fans and shared stories about his experiences between songs. 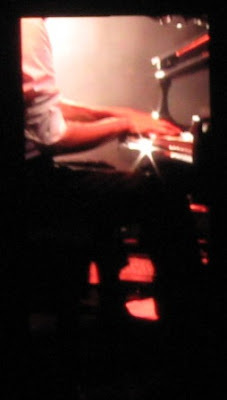 The most memorable song of the night was when he sang "Here Today" which he composed for his late friend, John Lennon. 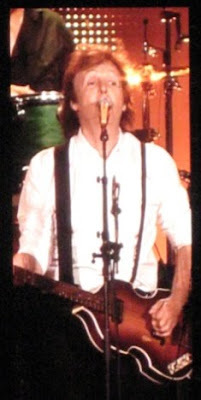 McCartney’s reflection came across through his lyrics, “You’d probably laugh and say we were worlds apart.” The message of this song: if you've got something to say, then say it! Paul encouraged his audience to express themselves with others. One day, it may be too late. Throughout the course of the concert, you really felt like you had traveled back in time. McCartney’s voice has not lost a beat. The night was filled with happy songs like "Obla Dee Obla Da" which made everyone cheer and reflect on the joys of life. At age 67, McCartney is definitely holding on to his rock star lifestyle and talent. According to The Sun-Sentinel, there were approximately 40,000 fans on Saturday night and the ex-Beatle played for two hours and 45 minutes. That's what I call endurance! At one point, the show even featured a fireworks show. It was such an amazing night. Cameras captured fans in the crowd who had made their own posters with messages of peace and love or others who waived a British flag for McCartney to see. 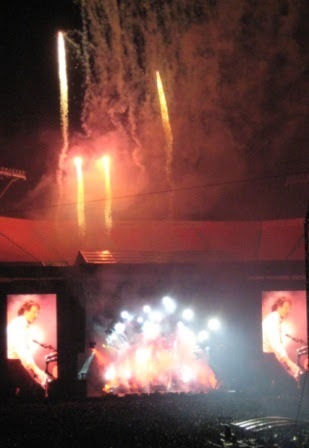 If you have a chance to see Paul McCartney live, don't miss this opportunity. He's not only charismatic but he has a great sense of humor. I think he must have played on ten different guitars during the concert. After performing a song, he would switch guitars and even share anecdotes about them. One guitar dated back to his time with The Beatles. Overall, this man is very passionate about music and he's not letting age stop his rock star status. Paul McCartney is determined to rock on for fans all over the world.